We are delighted to announce that our nursery has retained its Good rating, receiving a glowing report following its latest Ofsted inspection. To celebrate this fantastic news we will open our doors for Enrolment Week from 18th to 22nd June with daily stay & play activities between 3pm – 4pm. 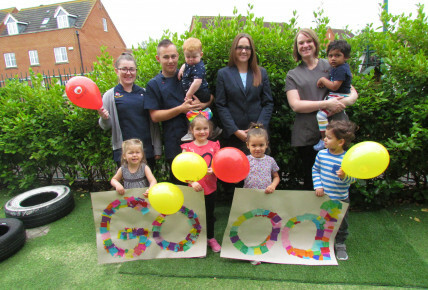 “It is incredibly rewarding to receive this acknowledgement from Ofsted praising the quality of our care and education; and what better way to celebrate it than to welcome children from the local community to come and join us for some play time. You can view the full report on the Ofsted website here.